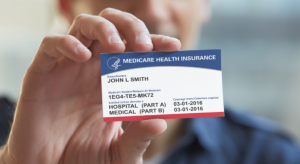 Beginning on April 1, 2018, the Centers for Medicare and Medicaid Services (CMS) will be mailing new Medicare cards to everyone who has Medicare. These new cards will have a new unique ID number that will replace the social security numbers on current Medicare cards. CMS is trying to prevent fraud and identity theft by removing the social security numbers, but your Medicare coverage is not changing. CMS will begin mailing cards in April 2018 through April 2019. Your spouse, neighbors, or friends may get their cards before you. Please be patient. If you have not received your card by April 2019, please contact Medicare. As always, we are happy to help answer any questions you may have about Medicare and these new changes. Feel free to contact us at 919-380-9700 or via email at cedwooten@nc.rr.com.